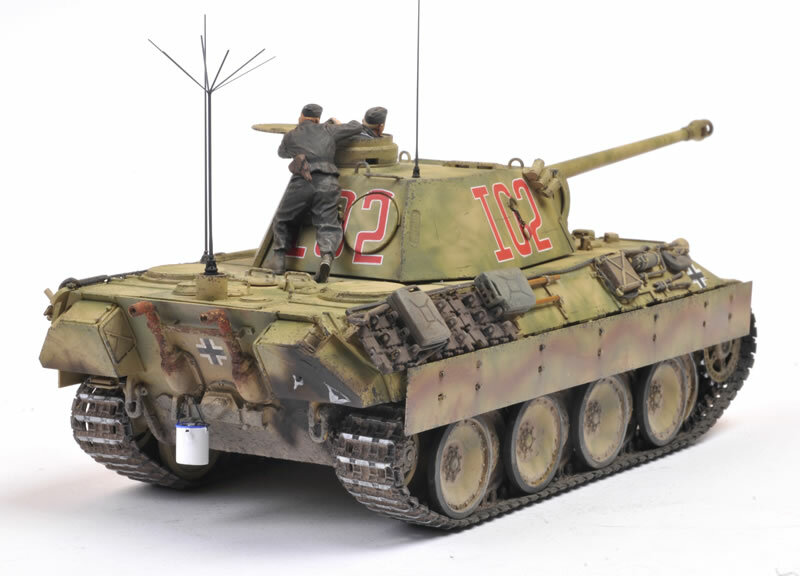 Just finished tonight, Tamiya's brand new 1/35 scale Panther Ausf. D.
The model was built with a few additions including Tamiya's own photo-etched fret and the breech detail set with turned metal gun barrel. I also used Tasca's German Star Antenna set (thanks Dave from Creative Models Australia!) 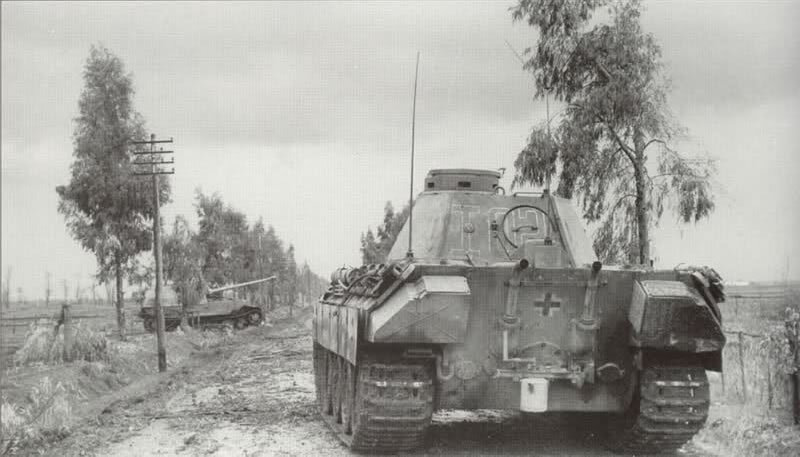 and decals from Echelon for a Befehlswagen Panther at Anzio. The paint job is my interpretation of a reference photo (shown here for information). Tracks are the kit's full length flexible parts. I started work on the individual track links but the entire sagging top run is completely hidden by the side skirts anyway, and detail is good. 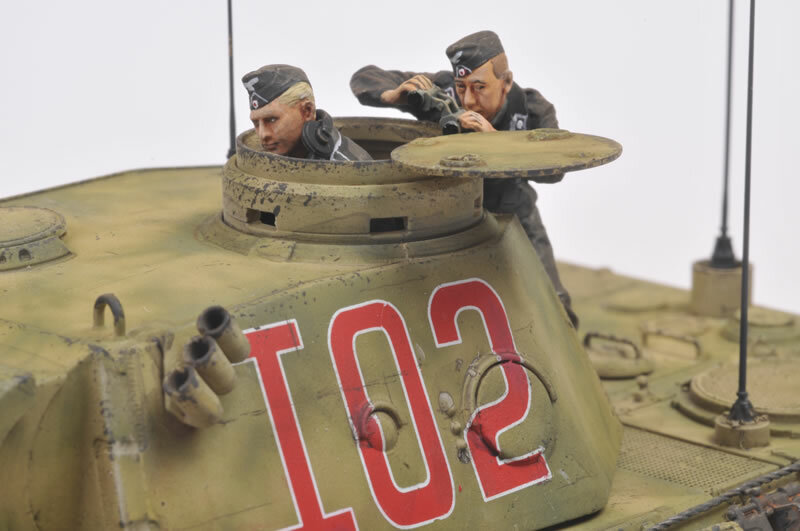 The figures are included in the kit. The poses and sculpting are excellent. Tamiya's figures have come leaps and bounds in the last few years. 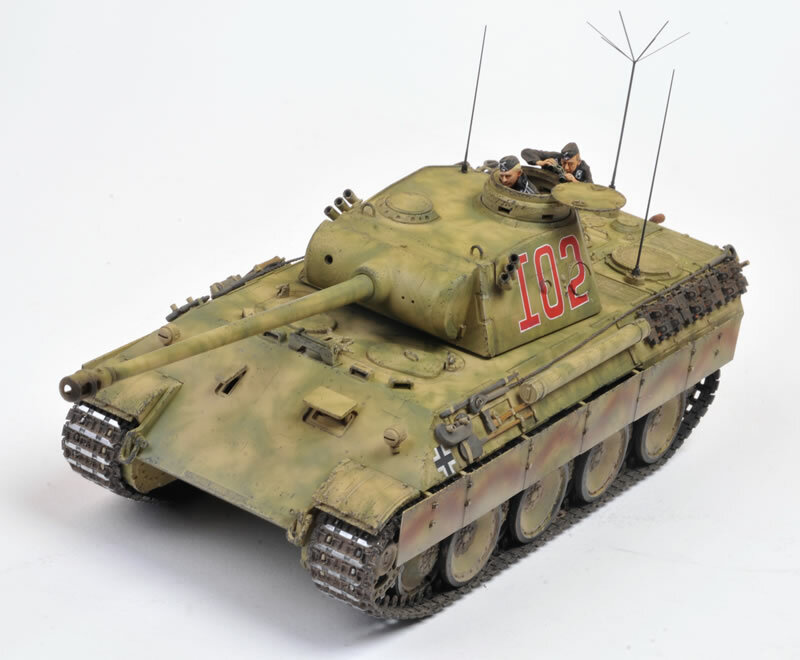 I'll be writing this one up for a big article in Issue 114 of Model Military International magazine, and Bruce Culver has Part One of a pretty special Think Tank reference series on the Panther too. I found this to be a very enjoyable build.